Boardwalk Construction Estimates: How Much Does a Boardwalk Cost? 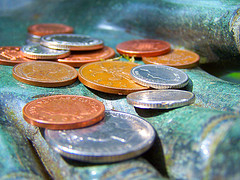 This article will share preliminary information related to boardwalk construction costs. 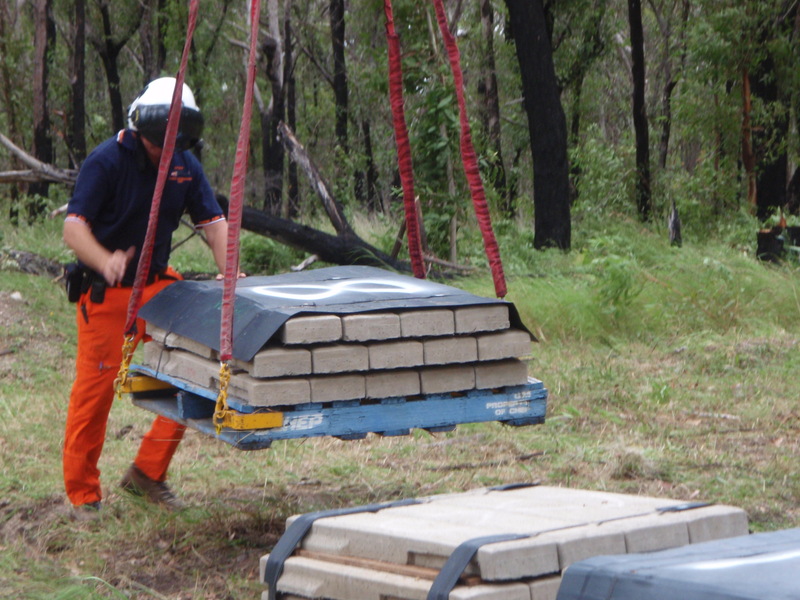 We hope this information will be helpful as you compare the cost of a wood/timber boardwalk vs. the cost of a precast concrete boardwalk like PermaTrak. 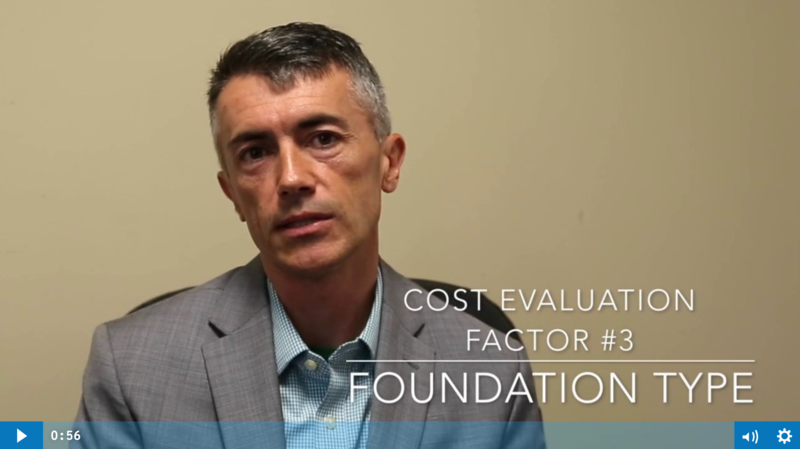 Are you running a cost estimate for a boardwalk or pedestrian bridge project? Brooklyn’s iconic Coney Island Boardwalk was the center of controversy last year as a group of advocates fought the city’s plans to replace sections of the famous boardwalk with plastic or composite wood decking, along with sections of concrete. Does a Concrete Boardwalk Cost More with a Curved Alignment? 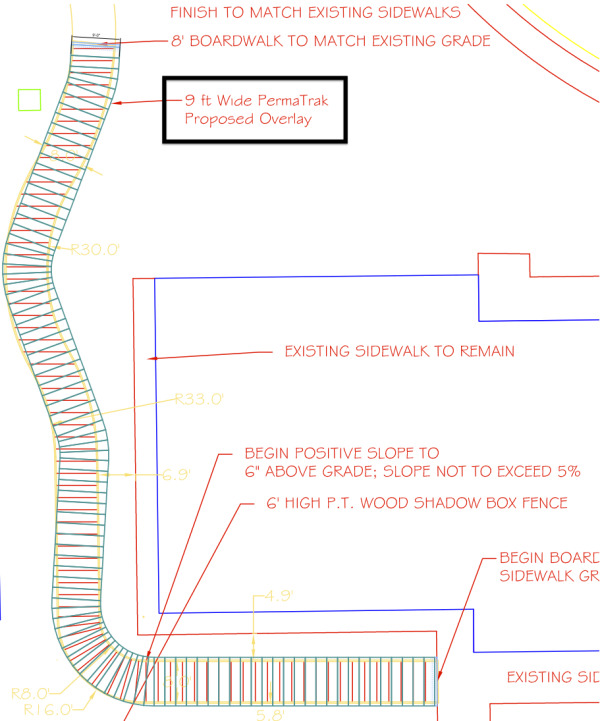 If you’re in a conceptual design stage for a trail, greenway or boardwalk segment, you may be wondering about the available turning radii for different boardwalk products. Here are some of the most common questions that come up in the concept stage when designing for a concrete boardwalk system. 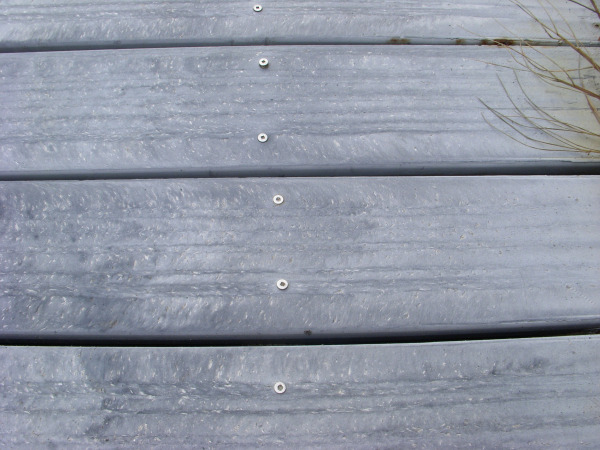 Boardwalk Design: Engineering Fees for Construction Documents? As a boardwalk designer, I’ve been lucky to team up with a number of outstanding landscape architects in designing some fine boardwalks. However, along the way I’ve made my fair share of mistakes and I wanted to pass these items along to you. These tips can help boardwalk designers use their time more effectively, and save money for owners on final boardwalk construction costs. 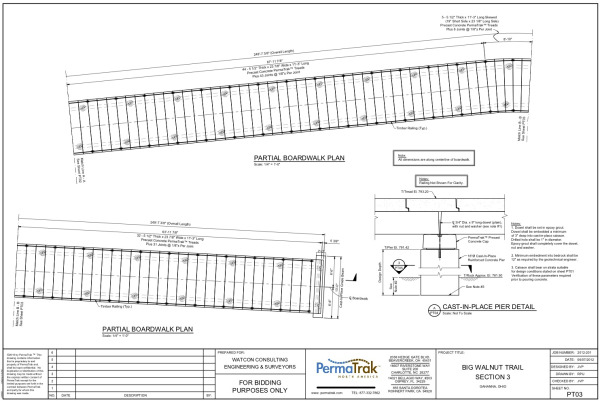 The PermaTrak boardwalk blog articles are written for landscape architects, engineers, and agency or municipality professionals. We aim to provide educational resources for designing and building boardwalks, pedestrian bridges, trail and greenway systems. By reading our weekly posts, you will deepen your understanding of boardwalk design, cost estimates, and construction practices.